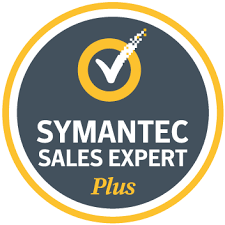 Symantec Endpoint Protection is a client-server solution that protects laptops, desktops, Mac computers, and servers in your network against malware. Symantec Endpoint Protection combines virus protection with advanced threat protection to proactively secure your computers against known and unknown threats. Symantec Endpoint Protection protects against malware such as viruses, worms, Trojan horses, spyware, and adware. It provides protection against even the most sophisticated attacks that evade traditional security measures such as rootkits, zero-day attacks, and spyware that mutates. Providing low maintenance and high power, Symantec Endpoint Protection communicates over your network to automatically safeguard computers against attacks for both physical systems and virtual systems. This comprehensive solution protects confidential and valuable information by combining multiple layers of protection on a single integrated client. Symantec Endpoint Protection reduces management overhead, time, and cost by offering a single management console and the single client. CyberProtex provides technical expertise for compliance for integrating your company to use two-factor (2FA) authentication using Symantec VIP.